ADE Live StreamCatch our sold out ADE event live on Chew! The 2015 instalment of Amsterdam Dance Event (ADE) is set to be one of the biggest and most exciting attendees have seen in its 19 year history. And we’ve partnered with Chew, who’s founder won this year’s IMS visionary award, to bring you the imprint’s first ever livestream. On Friday 16th October, Chew and RAM are bringing dance music fans around the world exclusive access to the sold-out RAM Records ADE event - direct from the legendary Paradiso Noord. This gives fans the chance to catch one of the best parties during one of the biggest dance music gatherings on the globe. In attendance is Drum & Bass stalwart and RAM head-honcho Andy C - making his first ever livestream appearance, alongside label mates Calyx & Teebee, Rene LaVice, June Miller and Bensley. The DJs, as ever, are intent on bringing a hefty night of 170bpm direct to viewers wherever they are in the world! 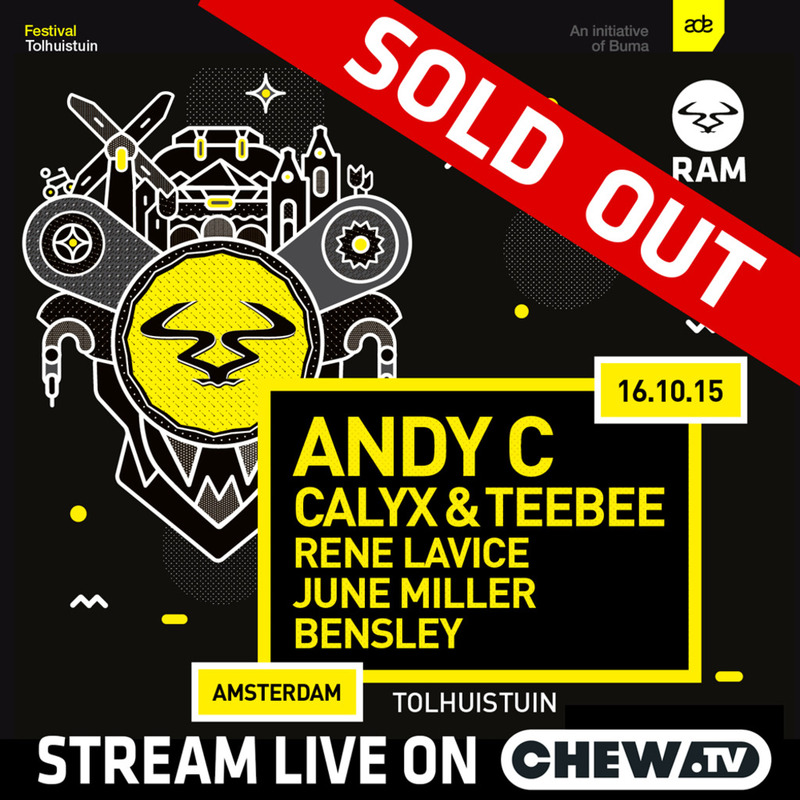 The event is one of the hottest tickets during ADE 2015, selling out weeks in advance. Be sure not to miss out by tuning into Chew at 9pm (GMT) this Friday!